Tectono Business Review: WILL NIGERIA’S ECONOMIC OUTLOOK BE INFLUENCED BY THE PRESIDENTIAL ELECTIONS? WILL NIGERIA’S ECONOMIC OUTLOOK BE INFLUENCED BY THE PRESIDENTIAL ELECTIONS? This will be a monumental month for the largest economy in Africa as parliamentary and presidential elections are scheduled to take place on February 16. Although Nigeria’s economy is expected to accelerate during the first half of 2019 thanks to increased government spending ahead of the elections, the nation’s fate will hang on the election outcome. The nation’s macroeconomic conditions remain worrying with the unemployment rate sitting at 23.1% and the IMF cutting the nation’s growth forecast for 2019. With oil prices heavily depressed and geopolitical risk factors in the form of trade tensions compounding downside risks, major changes are needed in Nigeria to weather against the storm. There was initially a strong sense of optimism over President Buhari elevating the nation by restoring economic growth, fighting corruption and restoring security. However, with inflation rising to worrying levels, Nigeria experiencing a recession and the Naira sharply depreciating under his presidency, will Buhari be offered another chance to fulfil his promises? Nigeria’s economic potential is unlimited, but this can only be fully unleashed with the right leadership. With a youthful population and fertile land, the ingredients for self-sufficiency are already present. It is widely known that the nation’s illness remains oil reliance with the cure found in diversification. But what has truly been done these past four years to limit the nation’s exposure from oil shocks? The IMF continued to warn Nigeria to intensify economic diversification last year in the light of severely depressed oil prices. Although there have been repeated talks about investment in agriculture and sourcing growth from other non-oil sectors, economic growth in 2017 expanded a tepid 0.8% with growth in 2018 seen hitting 2%. While the current president is pledging to boost infrastructure spending on transportation and electricity, will voters be willing to listen? Taking a look at the current macro-economics, high unemployment is a sore spot that needs to be mended while inflation is slowly rising due to government spending. Although the encouraging foreign exchange reserve figures for January are good news for the Naira, the Central Bank of Nigeria’s repeated intervention remains a short-term solution to a longer-term problem. 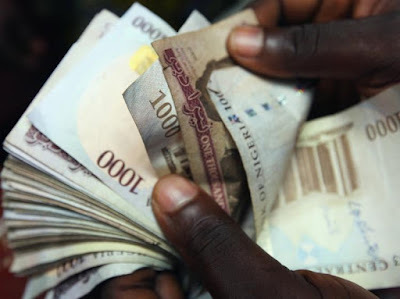 A free-floating Naira if it becomes a reality is poised to attract foreign investors as an element of confusion over the multiple exchange rates is removed. While the encouraging manufacturing figures for January are a welcome development, data needs to respect this positive pattern for sentiment to improve in the near term. It will be interesting to see how the Naira and Nigerian Stock Exchange both react to the presidential elections. Investors may use these as proxies to gauge how markets feel about the outcome. When looking at the Nigerian elections one must always expect the unexpected, especially when considering how there are no reliable opinion polls. While the outcome remains uncertain, it will certainly have a lasting impact on Nigeria’s economy in the medium to longer term.